Is it time to replace the gutters on your home in Cedar Rapids, Iowa, or a surrounding area? It can be hard to tell. Unfortunately, the average homeowner will wait until their gutters are already leaking instead of resolving the issue before the matter gets worse. There are several tell-tale signs to look for to determine whether or not it is time for a replacement. First of all, one of the most obvious signs you can look for if your gutter system is failing is that they have begun sagging or separating away from your home. Another surefire way to know it’s time for a replacement is if your gutters have begun to leak or crack. And, if the problem has gone on for too long, you may even find that water has begun to leak into your home’s foundation or directly into your basement. 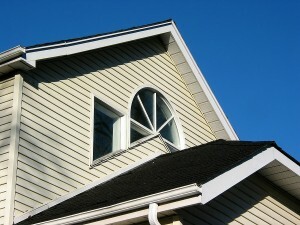 If gone unnoticed, this will surely lead to issues such as mold, mildew, or water damage. Thankfully, Waddle Exteriors is available to homeowners in Cedar Rapids, IA, and has the knowledge necessary to determine if it is time to replace your gutters. And, should a replacement be necessary, our team of expert installers will leave your home looking fantastic and your gutter system functioning better than ever before. For more information about the gutters that we offer to residents of Cedar Rapids, IA, and the surrounding areas, contact Waddle Exteriors today. Make sure to ask about our convenient financing options that we offer to local homeowners.